Name Guido Tent and many DIY audio enthusiasts have visions of precision clocks eliminating jitter, shunt regulators and all manner of upgrades particularly in the digital realm. 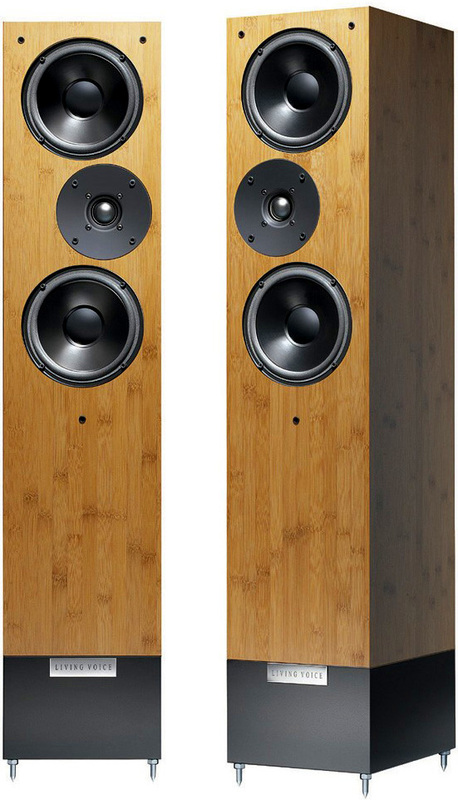 Guido’s Tentlabs also offers a CD player kit and the man cooperates with other Dutch audio luminaries like Eelco Grimm, Bruno Putzeys and Peter van Willenswaard in the more pro-oriented Grimm Audio venture. Spin-offs from this collaborative team are products like the iQube headphone amplifier and DAC we reviewed previously. 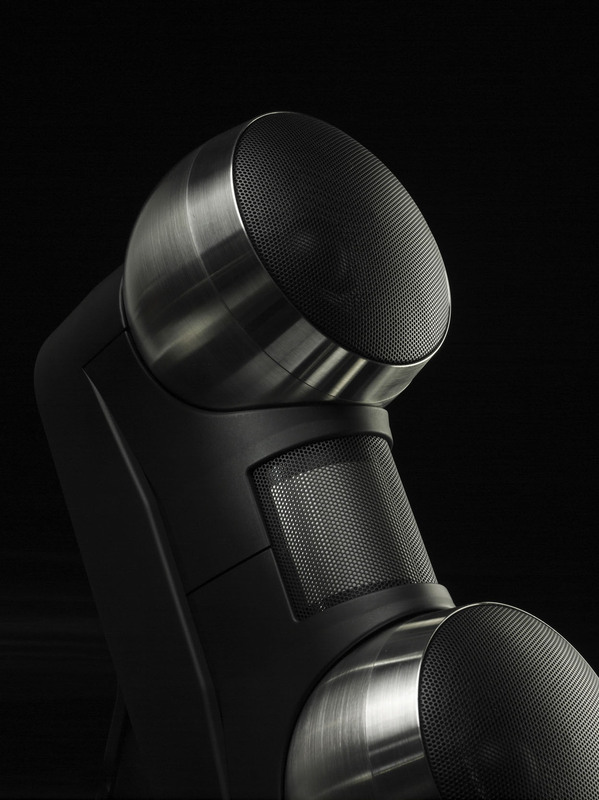 Now comes a series of prêt-à-porter turnkey devices of which the b-DAC is the first. 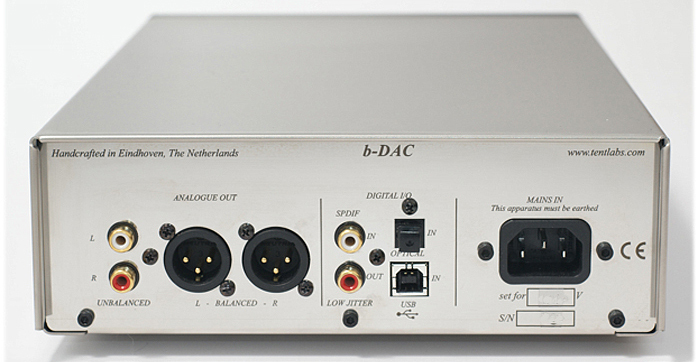 With a reputation on the line, this DAC must be of high quality even though its price tag misses 4 figures by a few bob. Did Guido pull it off? We were asked to find out. 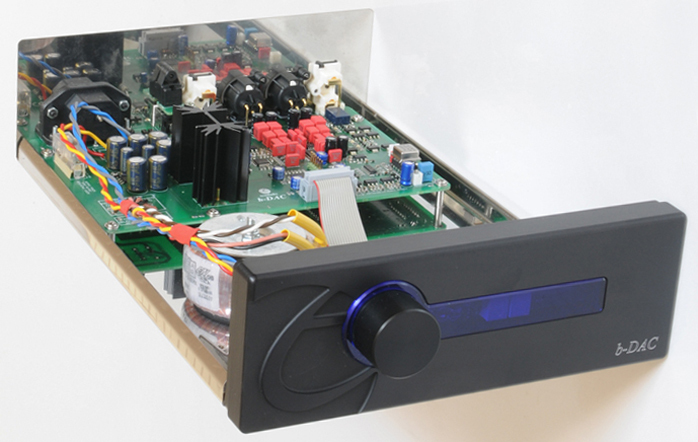 Rest assured that the b-DAC proved to be a remarkable addition to the overcrowded converter scene. First off, why yet another DAC? Guido had three reasons for his. First he wanted to improve playback for existing CD collections. Second he wanted the same for network players and lastly he believed that more was possible from high-performance USB scenarios. 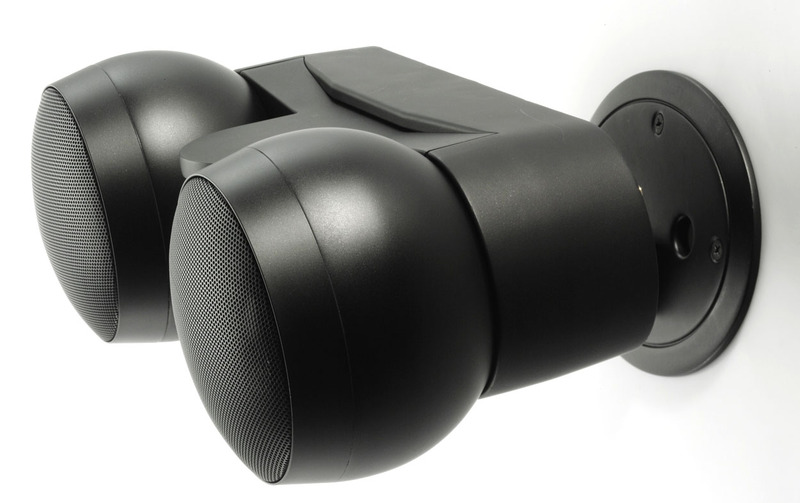 These three aims the b-DAC thus pursues within its small footprint of 30 x 21 x 7cm and a fighting weight of just 2500 grams. The matte stainless steel enclosure is fitted with a milled black aluminum fascia into which is carved the Tentlabs logo. There’s a blue display and single control knob. At the back are RCA/XLR outs, coax i/o ports plus Toslink and USB type B inputs. Your Dutchies took proud note of the engraved 'Handcrafted in Eindhoven, The Netherlands'. Speaking of pride, the b-DAC is named in memoriam of Guido’s dad Bart who recently passed away. Under the hood things are very tidy and parts are of high quality. When we follow the USB input there’s a PCM2707 S/PDIF converter. The optical input too is converted to S/PDF when they and the coaxial inputs encounter an SRC4382 which handles conversion to I²S. To what rate the signal is upsampled depends on the setting the user chooses. 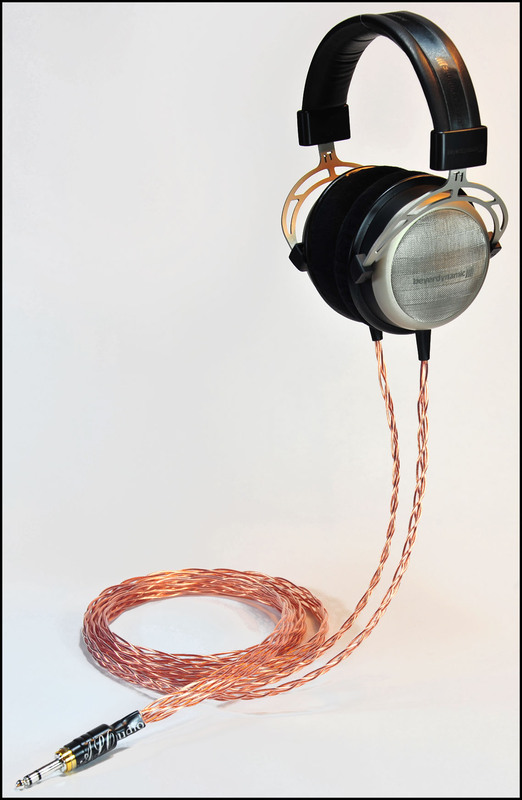 Up to 192kHz are supported and clocking is controlled by Guido’s signature Tentlabs XO clock known for its ultra-low jitter.